I wrote a lame title for this post and I just couldn’t bring myself to use it but it’s dorky enough that it seemed a shame not to share. Ready? Ok, I’ve probably written worse but if you knew how much over-thinking I put into things, you’d understand why I consider that kind of cringe-worthy and once/if you read this post (unless that last sentence was enough to make you turn off your computer or put down your phone or abandon your tablet and leave the area) you’ll understand how lacking-in-subtlety (yet easy) that title would have been. For me. Did I mention the over-thinking? Good. I was wondering if you would be interested in letting us use the attached photo on an album cover for a small up and coming band called Surviving Allison. 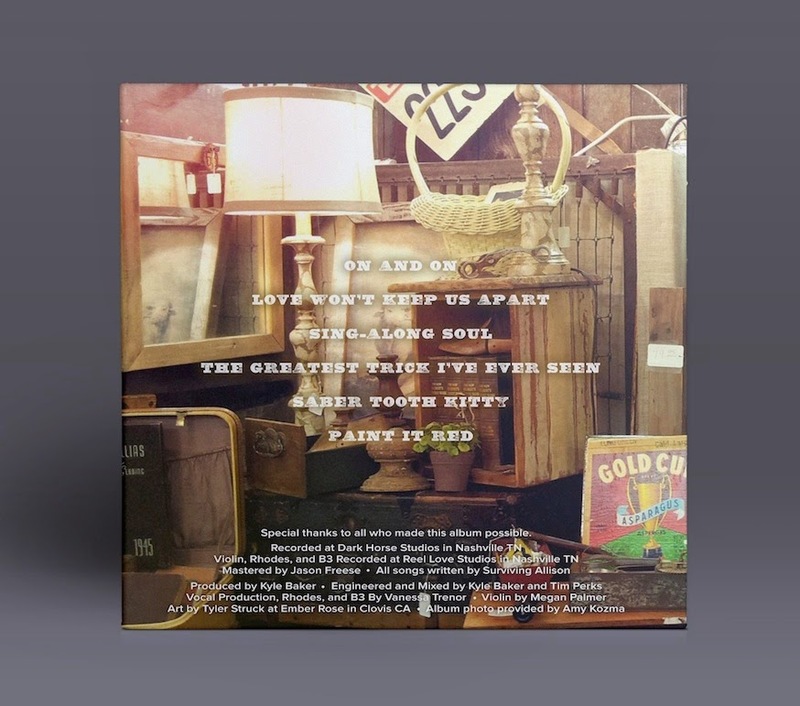 It will be used in good taste, and we would give you full credit for the photo on the album. 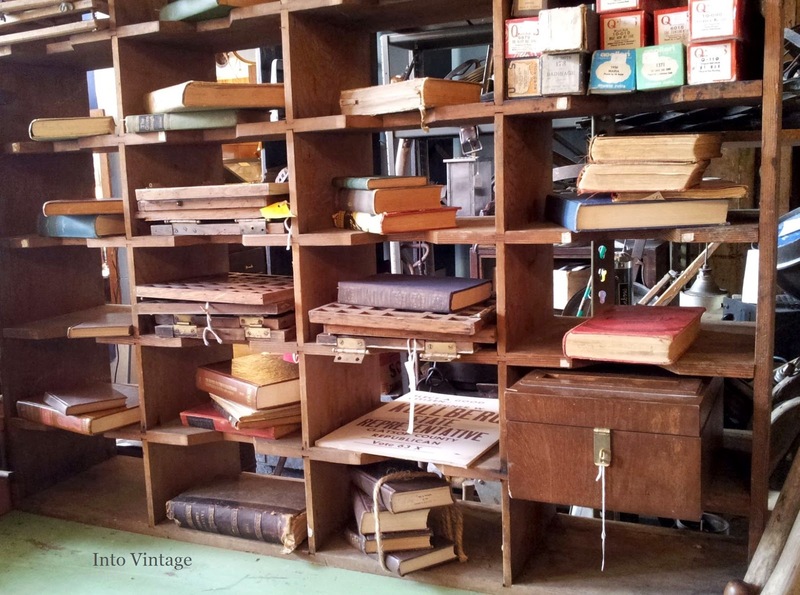 You may recall a post from back in the olden days when I took myself out for some birthday junking and snapped these photos while in an antique mall in Astoria, OR (Hi there, Phog Bounders Antique Mall). Then that random-yet-delightful email arrived and before I responded, mad googling commenced in order to check out the band, Surviving Allison. I just wanted to make sure they don't sacrifice unicorns or anything like that. And so my response to the email was a big, ol’ YES. Days later, this appeared in my inbox. The designer told me each object with a sales tag represents a member of the band. 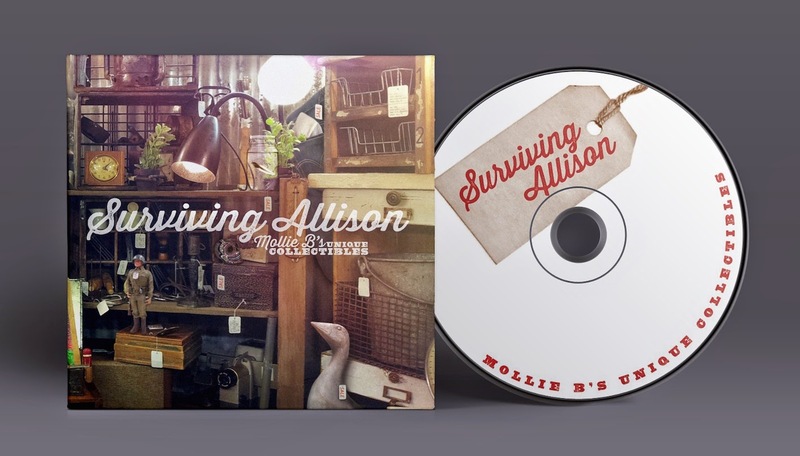 Click here to go to Surviving Allison's website. Or follow them on Instagram here. She’s on Facebook. She’s an email pro and has been for years. She knows what in the world airbnb* is and finds it pretty interesting. She found her great love at age 80 and married him. 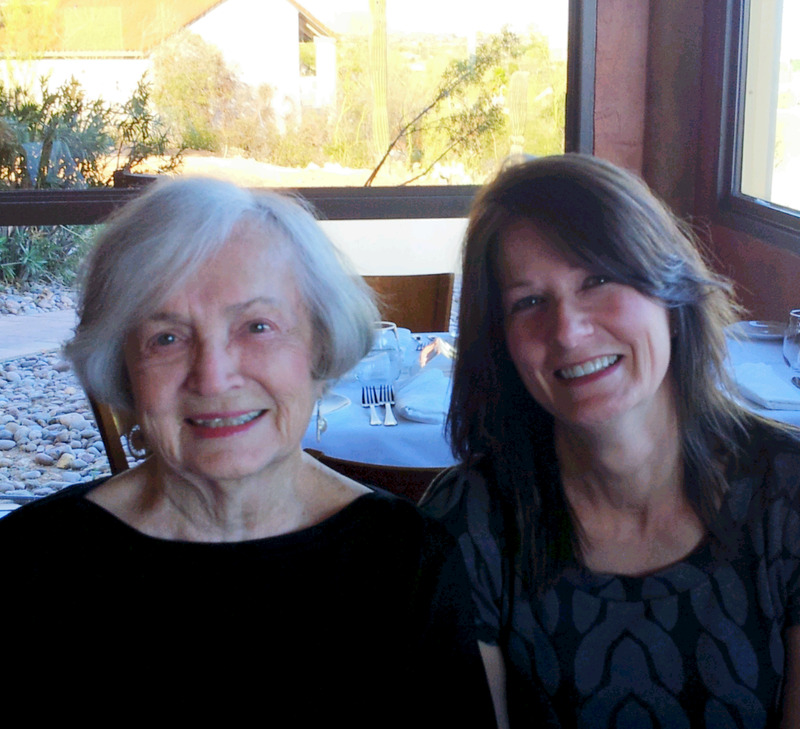 She is a tireless cheerleader for reconnecting far-flung family members. 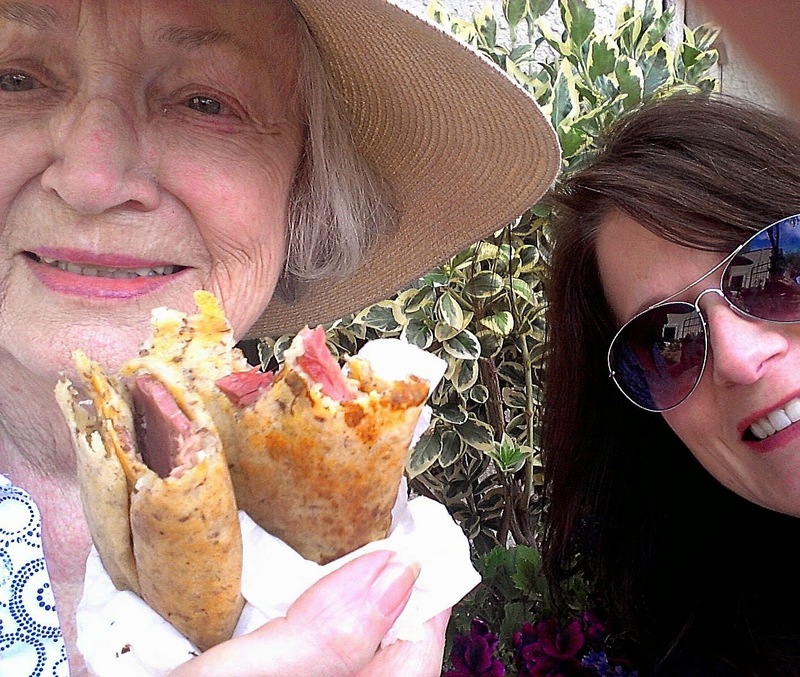 She reduces anxiety by introducing visiting short order cooks to Prosecco, Limoncello, and Bellinis. 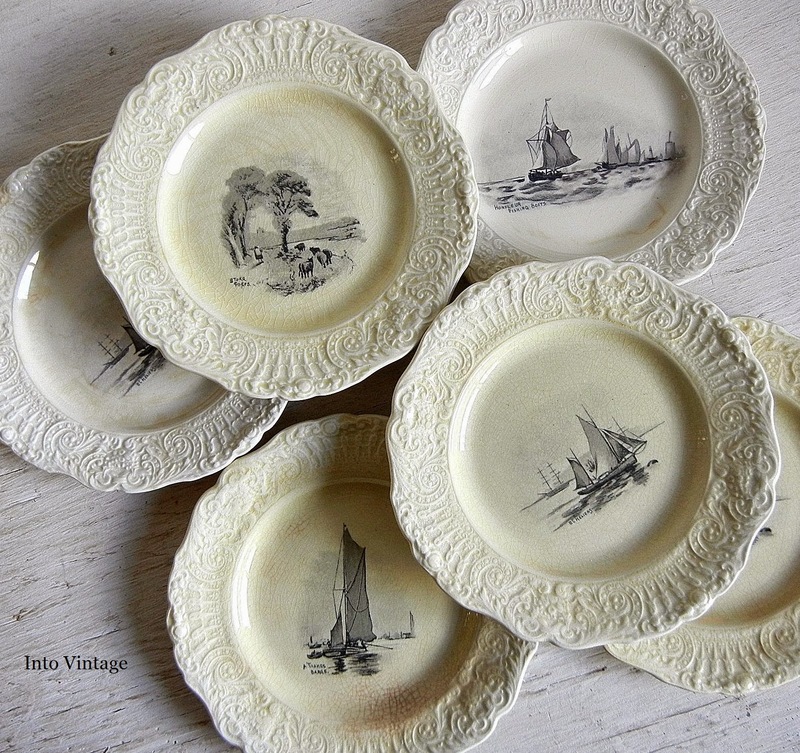 She shares a rare genetic disorder with yours truly that involves the acquisition of pretty vintage dishes. So many dishes. We can’t be stopped but probably should be. She appreciates beauty all around her, especially in her home and her garden. She dresses so stylishly that someone needs to put her on the pages of Vogue. She reads my blog, refers to me as a writer and encourages and supports all of my endeavors. 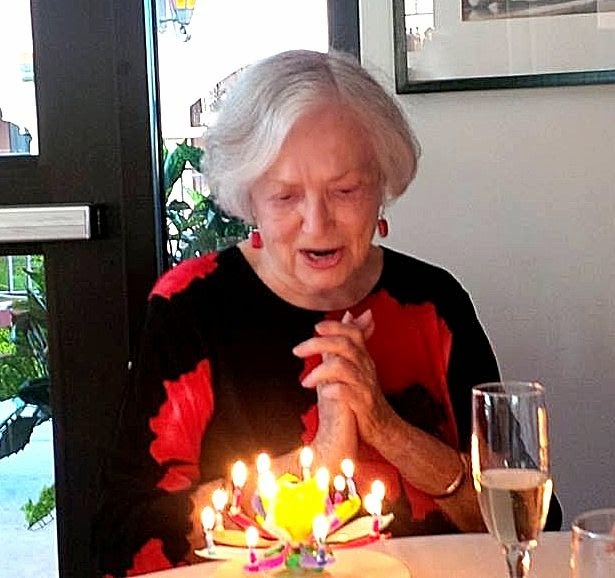 All of this (and much, much more) describes my Auntie Phyllis, who turns 90 today. The vintage Pyrex casserole-with-see-through-stand-and-warming-basket-in-mint-condition-shaped hole in my head. For someone who rides the junkin’ rails on a nearly daily basis, I completely managed to miss the train to Pyrexville. 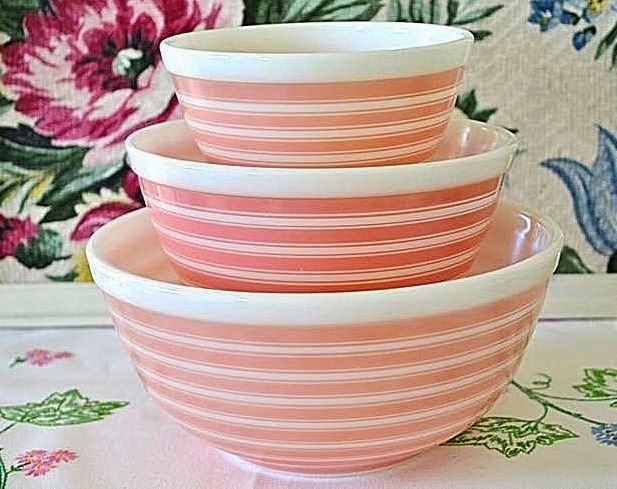 I realize many of you Pyrex People have been bringing home mixing bowls and refrigerator sets for eons but for those of us just waking up to the Pyrex experience (HelloMyNameIsAmy), I feel as though in the last year or so, there has been a sudden EXPLOSION of Pyrex collecting, hoarding, sharing and selling. Or does everyone feel like that when they're the last one to catch on? Gina has vintage Pyrex junk in her trunk. Melissa sells her Pyrex finds on eBay. 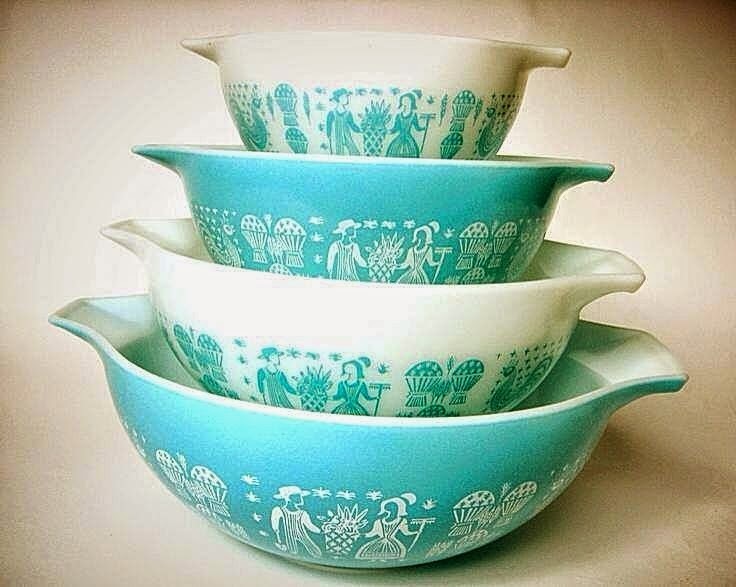 Then there are the Two (Pyrex Crazy) Thrifting Sisters. 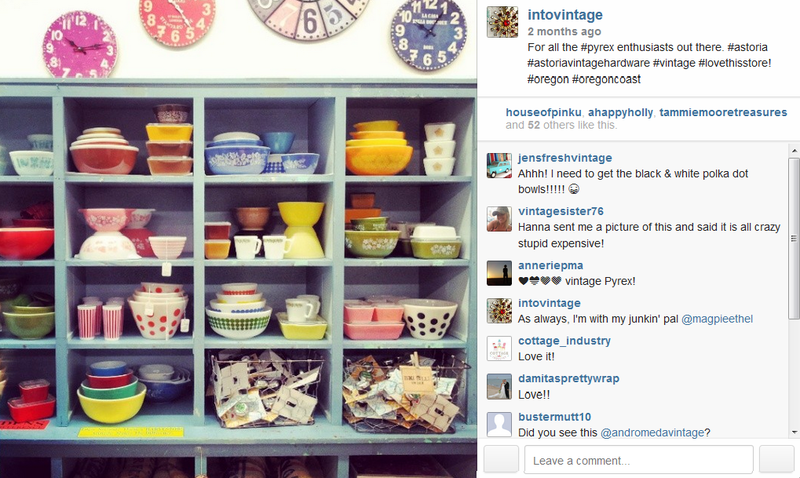 A google image search of them is Pyrex-crazy indeed! 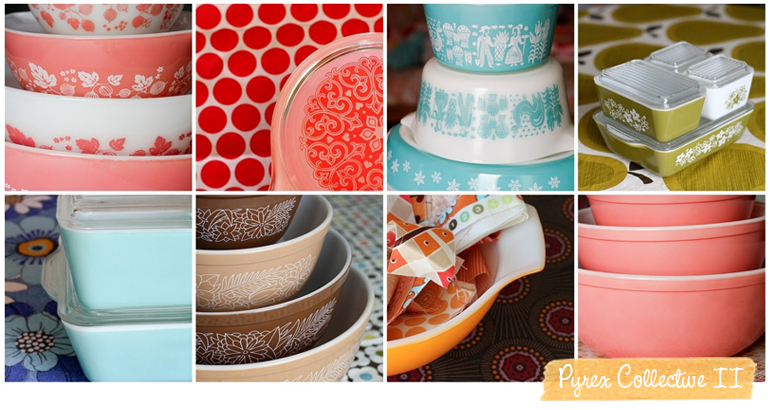 And there’s not just one or even two Pyrex Collectives – there are three of them! 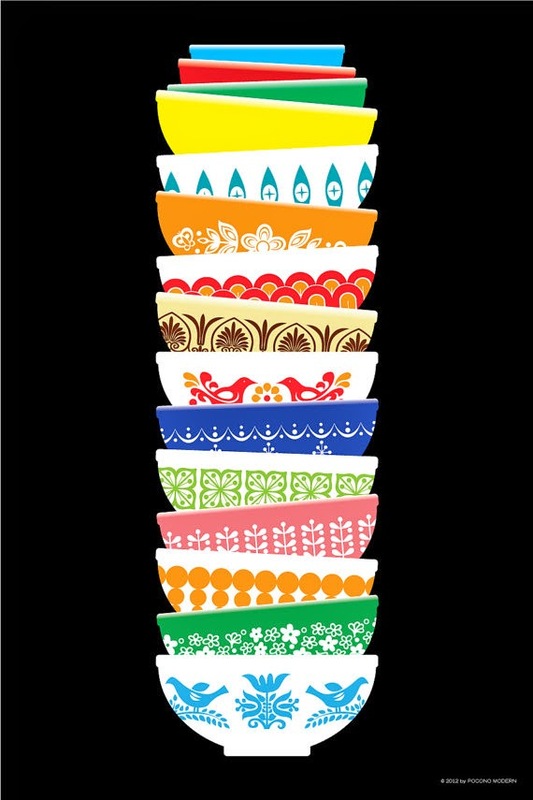 With links to even more Pyrex-loving types pyrexing their hearts out. I’ve taken one lonely photo of other people’s Pyrex, because I liked the display, not because I have a clue about anything Pyrex. On Instagram, this is my #1 hearted photo -- it outhearted any Vintage Christmas photo I’ve posted so far -- who knew?! I mean, you probably knew but I DID NOT KNOW. 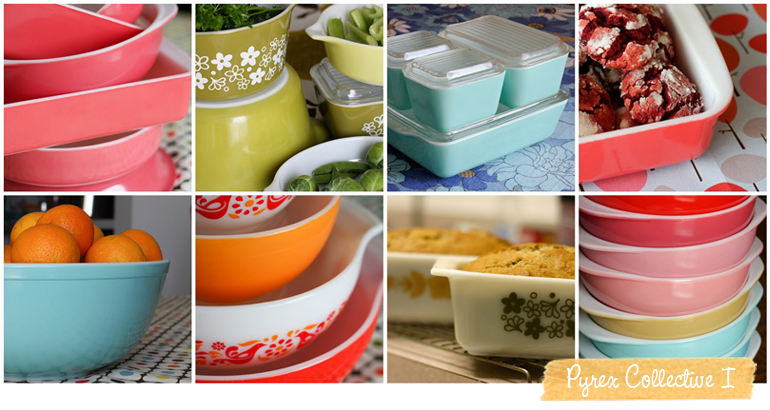 About the w i d e s p r e a d love of Pyrex. 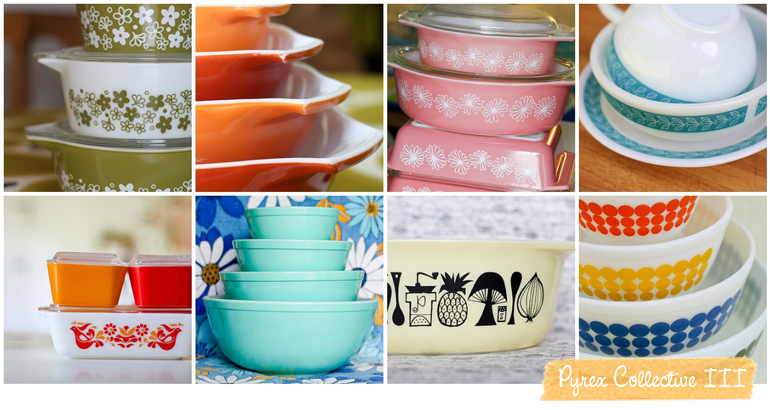 In an effort to signal my late entry into the Great Pyrex Awareness of the 21st Century, I’ve started a Pyrex (and more) collection of my own, safely contained on a Pinterest board where it won’t take up space at home, be washed in a dishwasher or get chipped or broken. Live and learn. SO much to learn. Now hoping to find a Pyrex for Beginners support group. 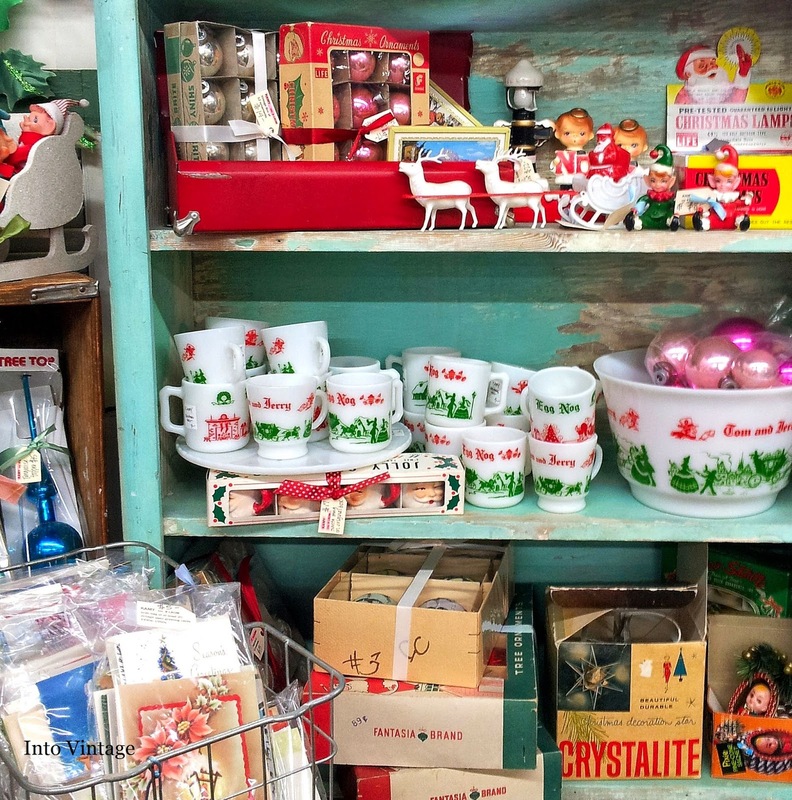 Before I get started here let me just say that this much I already know: I am a vintage dish junkie and therefore have NO BUSINESS whatsoever prowling around the dish aisle of a Goodwill thrift store BUT once I’m in the store I feel it’s my moral obligation to check out every. single. aisle. including the one with the lame used sporting goods (deflated soccer ball or random golf clubs anyone?) and so there I was. Doing my civic duty in the dish aisle. In the name of junking. Which sounds an awful lot like junkie. For the most part I kept my hands to myself but while eavesdropping on two people discussing Pyrex (free continuing ed class over in housewares!) 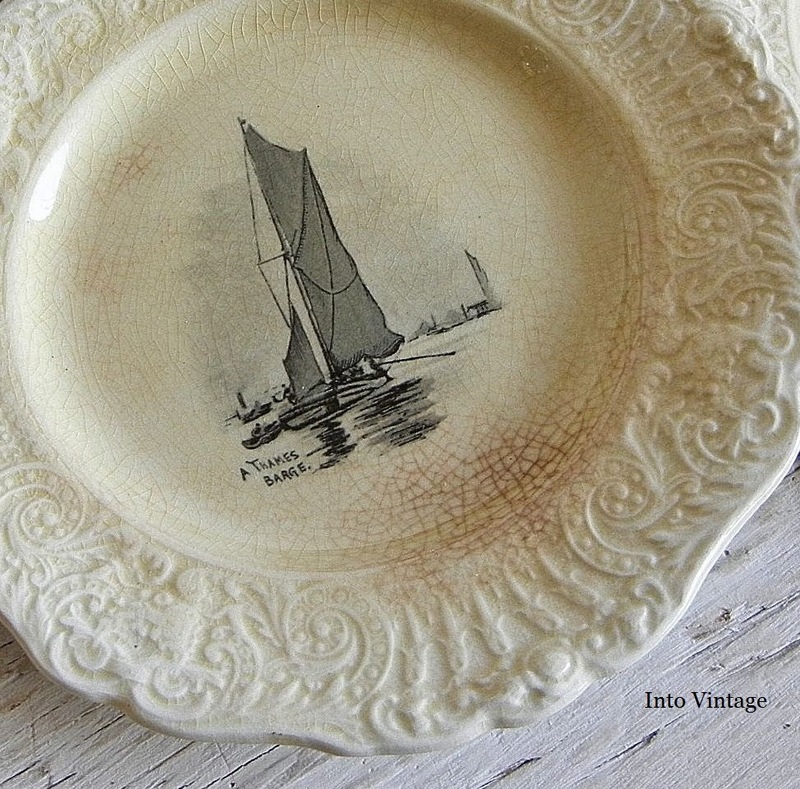 I spied some pretty little plates and here comes a(nother) confession: I have become THAT PERSON. The one who whips out her phone in Goodwill to google the item in her hand before making a potentially heinous mistake involving fours of dollars by taking a pass on something that maybe she should have bought but didn’t. Because of the fours of dollars involved. And now I’m also that person who refers to herself in the third person. And it was just four dollars. I really don’t know how to explain that part of the equation. It’s not like they cost forty dollars because then PROBLEM SOLVED. Back to the dishes. 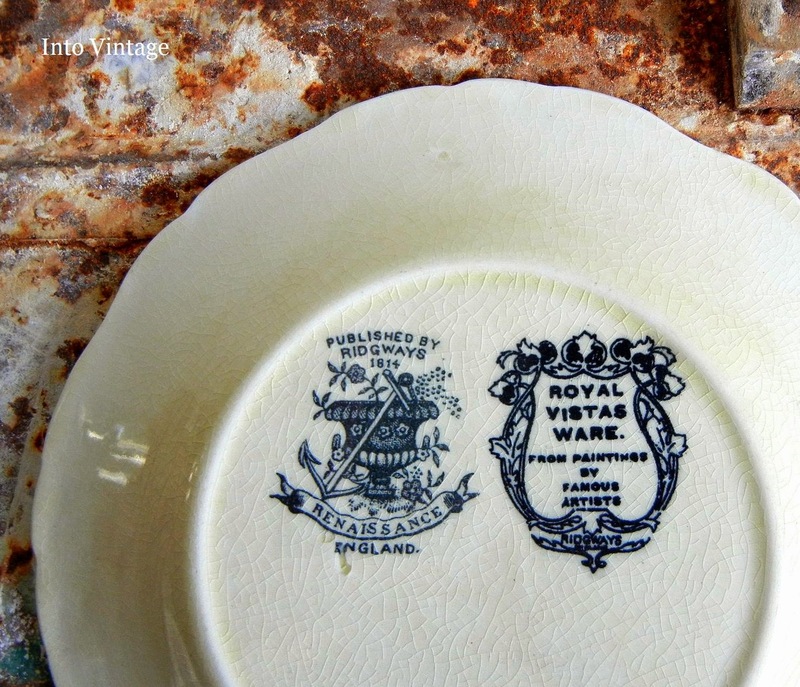 The magical, pretty dishes that had many interesting things happening. A nautical theme. Not one but two marks on the back (mad googling begins here!) and those marks involved the words ENGLAND and FAMOUS ARTISTS. Surely those are good signs. And the crazing. I love crazing. And they were pretty. And I’d never seen them before. And they were pretty. Despite my frenzied googling at the store and later again when my dishes and I got home, I still couldn’t determine specifically who the “famous artists” were and somehow not knowing disturbs me. If I were putting the works of “famous artists” on my merchandise (and adding a second china mark specifically explaining that they were made by “famous artists”), I would say in BIG HUGE LETTERS who the “famous artists” are. A painting by a "famous artist." And now I feel as though the internet is keeping secrets from me. Because everything about everything is on the internet by now, isn’t it? Last weekend netted one of my dream scenario estate sales. 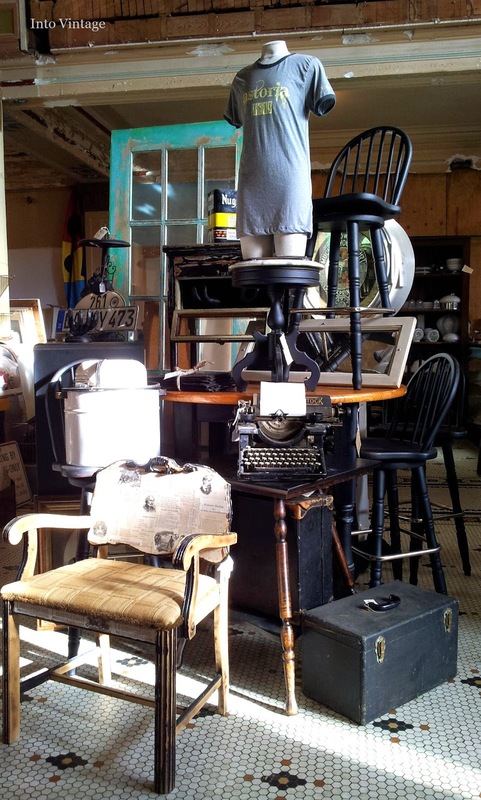 All of my lax, random criteria were met or exceeded: family run, out in the country, piles to pick through, displayed nicely but not too nicely, very reasonably priced and there were OUTBUILDINGS (2 of them!). Bonus! (and possible new criteria): The sale was being run by four handsome brothers. While passing by the giant FREE pile on my way to the good stuff in Building #1, The Barnacle, who had stacked her purchases next to the free pile, greeted me by saying, “Don’t touch those! They’re mine!” even though the only touching was WITH MY EYES as I walked by. I filled a box with my purchases and left it with brother #3 in building #1 while I headed to building #2 which was manned by brother #4. 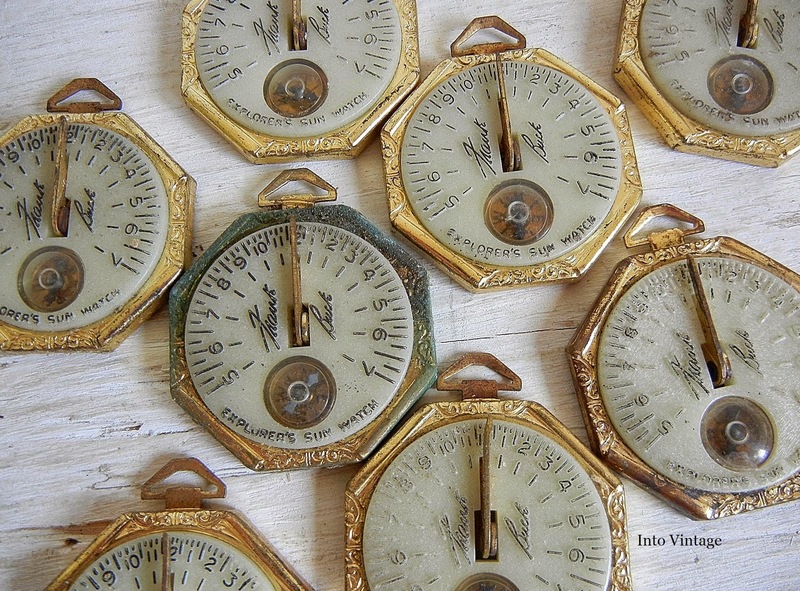 Years of experience with sleeping in arriving at estate sales hours after they’ve opened has forced me to fine-tune my ability to detect things that were missed or skipped over by earlier buyers. 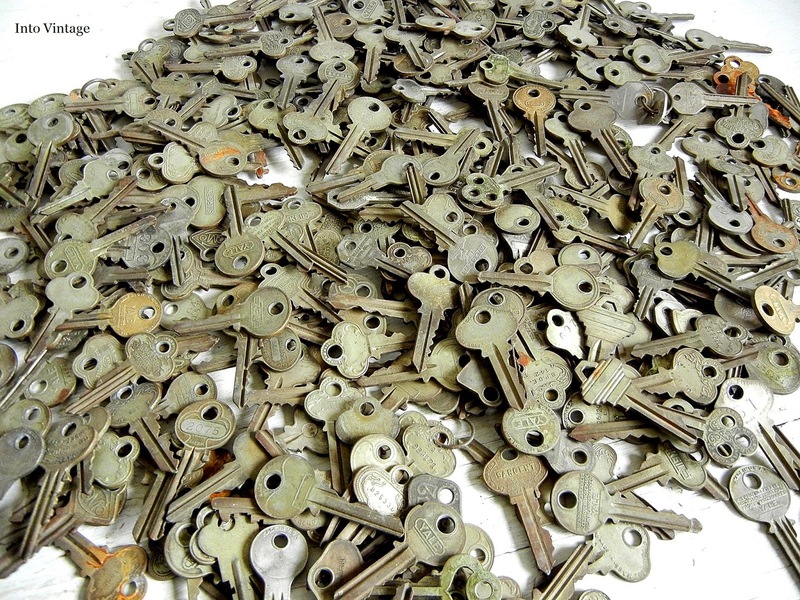 So many interesting old keys. I now had an estate sale shadow following me and I didn't know why since The Barnacle appeared to have been finished with her shopping when I arrived. Maybe it caused her anxiety to see me swooping in and making piles of the things she rejected. Maybe she thought I knew something about the junk that she didn’t. 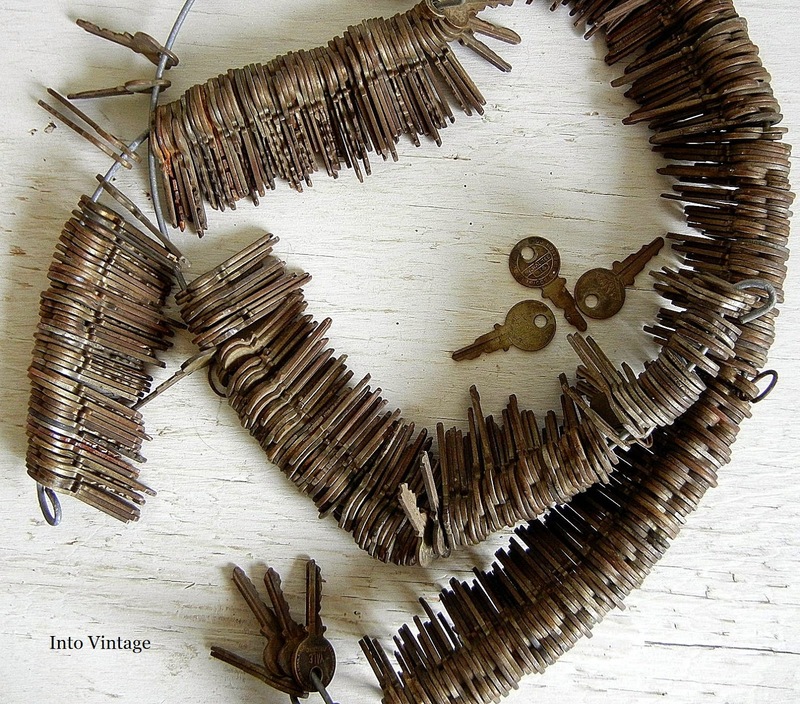 Maybe missing out on that ring of keys caused her to question all of her life choices. So many Wheaties cereal prizes - Frank Buck explorer's sun watches. I do know at this point there were only two shoppers in this 3-car garage, myself and The Barnacle, and as I dug through a very small box, she suddenly appeared again, standingrightnexttome, and stuck her hands in the same small box where my hands were already busy rummaging. What exactly was happening here?! And I was completely ignored. At this point I had to make some decisions. Should I get into a Barnacle-Stalker girl fight in a (handsome) stranger’s garage at an estate sale? No. Because that is a completely ridiculous idea. 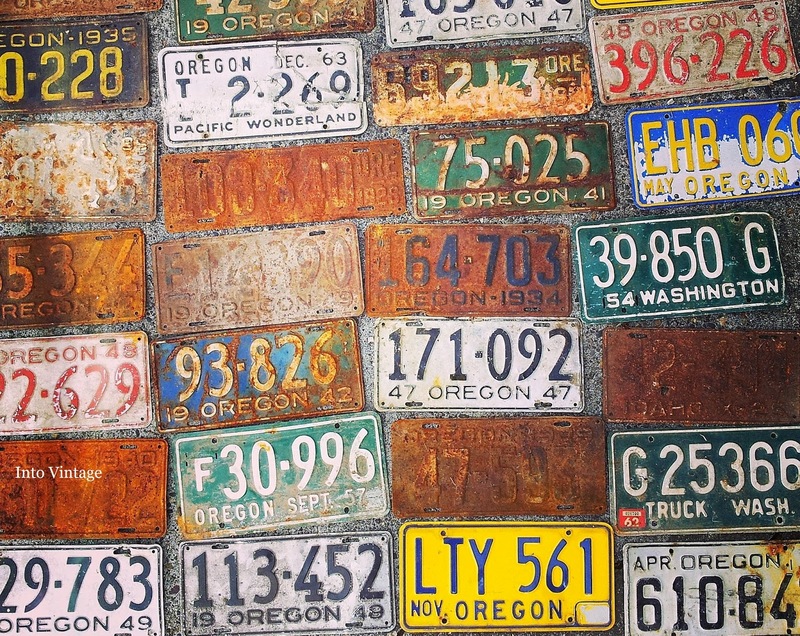 So many old Pacific Northwest license plates. But if I did, would it affect my ability to buy the stuff I had left behind with (handsome) Brother #3 in garage #1? Probably. And that would be NOT GOOD. Could The Barnacle take me down pretty easily? ABSOLUTELY. Small rambunctious pets have knocked me over. I was no match for her. So I stepped away from the box and The Barnacle. Why? 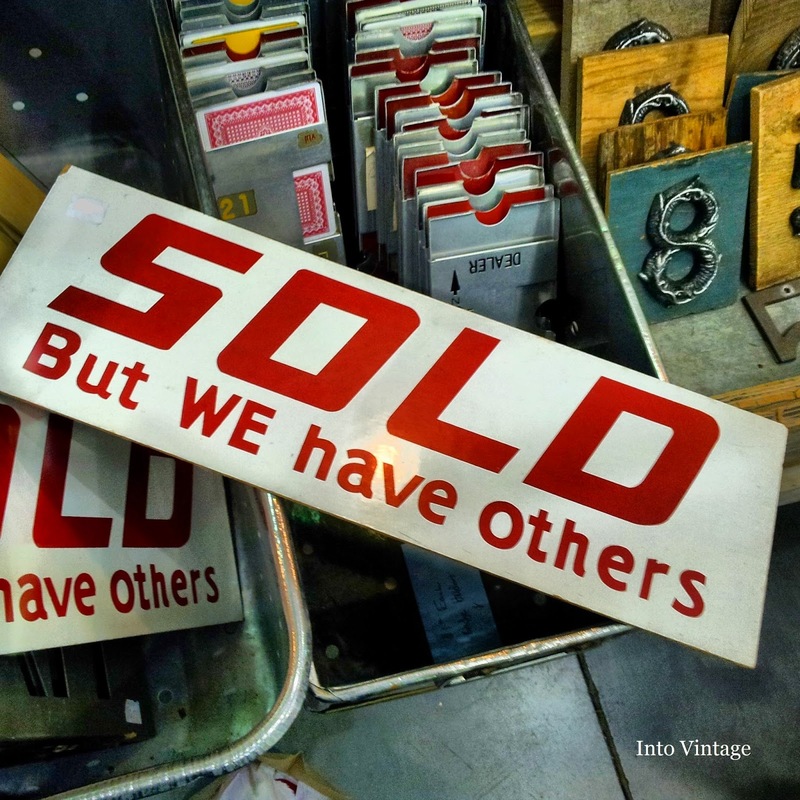 Because there is so much junk in the world, more than enough for everyone, that it’s just not worth being another Barnacle at an estate sale. And I’m more than okay with that. I did buy the keys. All 446 of them. Sorry, Hon. *To describe a tenacious person or thing. It’s summer – possibly June or July. The weather is warm if not downright hot. 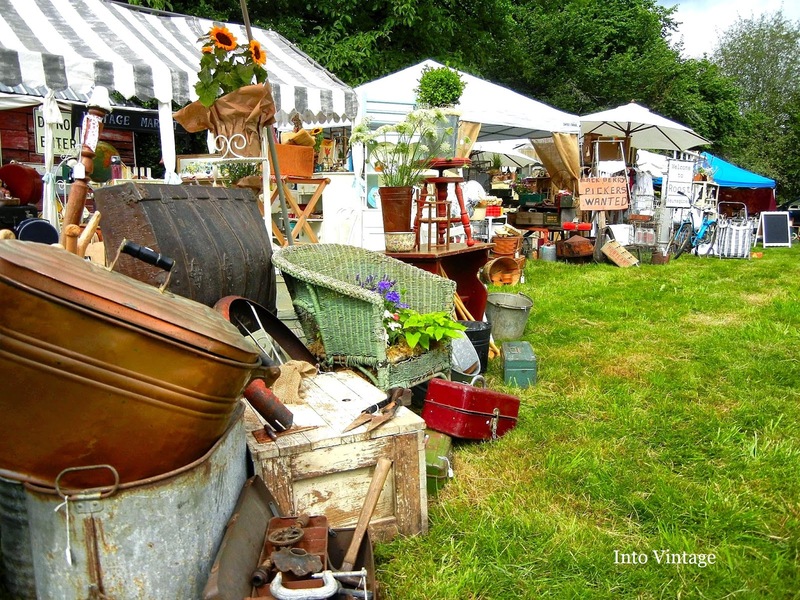 The gardens are planted, flowers are blooming, tomatoes are ripening and there’s a song in your heart and a smile on your face because you’re planning to attend an amazing vintage event over the weekend to shop for something specific or perhaps for everything in general (my preferred method). With that in mind, let me ask you this: How would you feel if you turned a corner at this hypothetical summertime vintage event and came across something like this? Please do not attempt to adjust your eyeballs. This photo is blurry. I brake for Shiny Brites. Would you stop and shop? In July? Would you need to put your head between your knees and count to 10 to avoid passing out? (No, wait, that’s not you. That’s me). 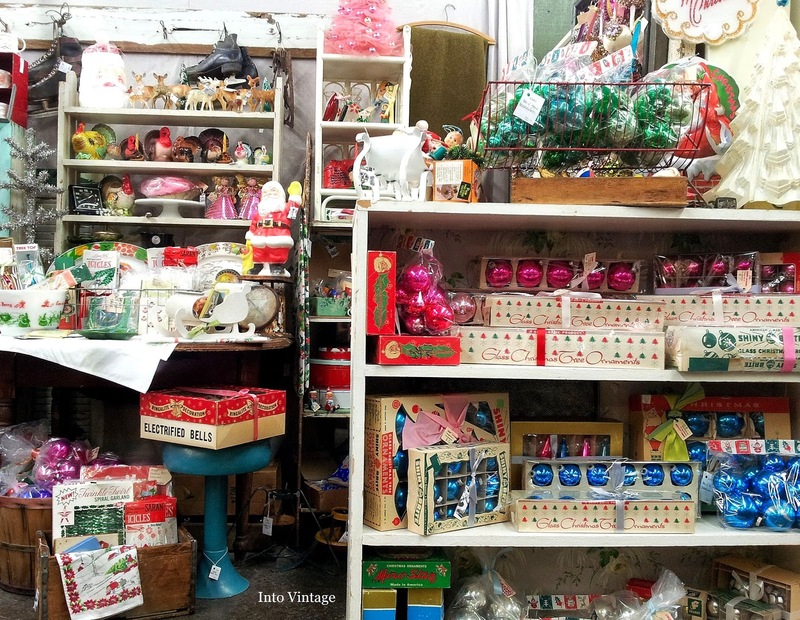 I’m curious to know if anyone else shops for vintage Christmas year round like I do? I did mention there would be questions, didn’t I? See, there’s another one. 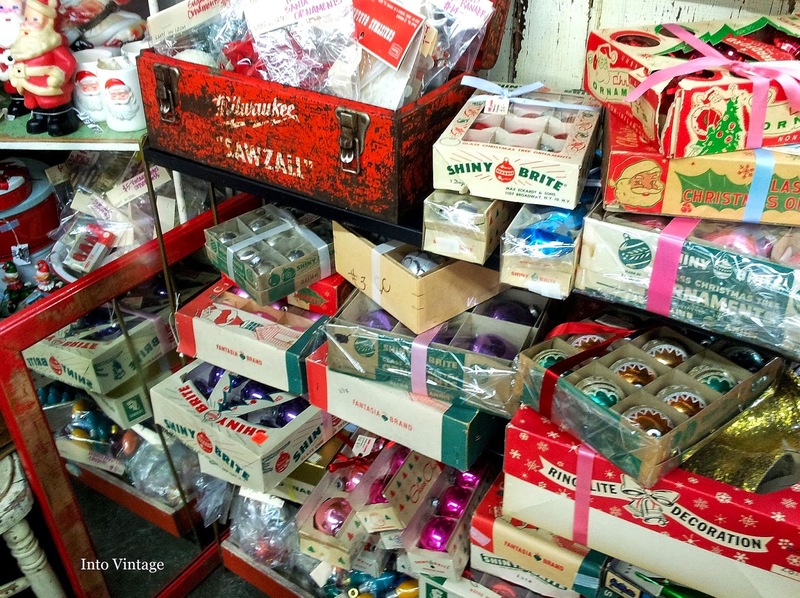 I know if I came across a vendor in a middle-of-the-summer vintage event (or even during a regular non-holiday-season visit to a vintage mall), who was dedicated solely to vintage Christmas, regardless of what might be on my shopping list, I would stop dead in my tracks. OR… maybe it’s not just me. Maybe it’s you too. Maybe we’re all in the same secret, sparkly, shiny club and don’t realize it! 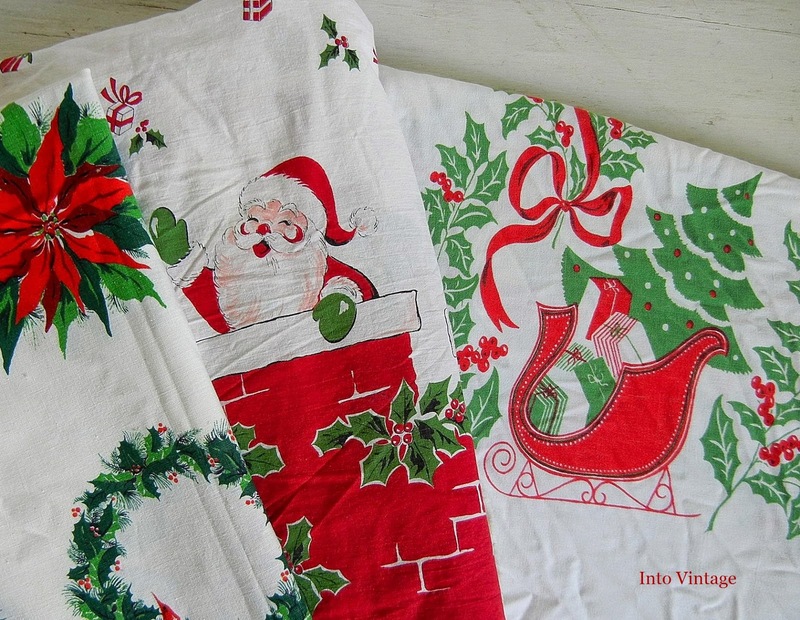 And so because I know how I feel about the topic of vintage Christmas year round, I wonder how you might feel about it and would greatly appreciate any enabling feedback you’d like to provide. 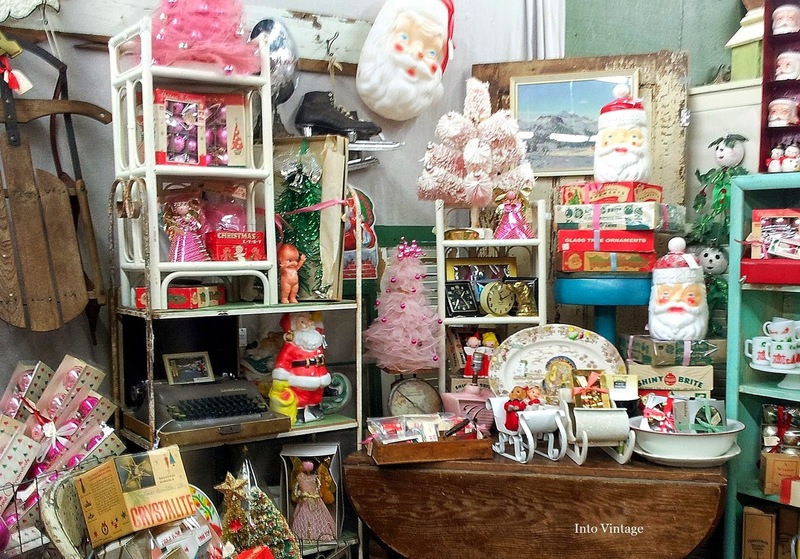 Thank you and Merry Vintage Christmas. * Disclaimer: I acknowledge that it’s entirely possible I may have lost my grip on “normal” some time ago. 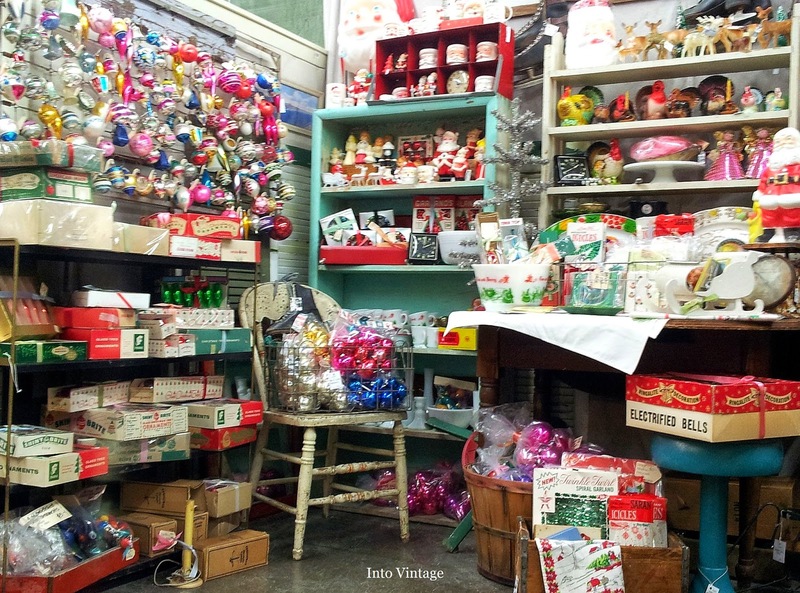 PS I took the Christmas photos shown here in late 2013 when Magpie Ethel and I combined our vintage Christmas hoards at Monticello Antique Marketplace. She wrote a fun post about it and you can CLICK HERE to read it. Lots of eye candy. Every person attending has a version of this photo on their phone. It's Farm Chicks law. I immediately gave them all my money (holds up hands and says “I have this many”) and then got to work selecting the items which would ultimately return home with me to join their friends who were eagerly awaiting them in my vintage linen hoard/stash /collection/whatever-we’re-calling-it-these-days. I was recognized right away by one of the Vintage Linen People thanks to my repeat performances on the exact same spot in 2011 and 2012. Three years later they still remember me because of my previous summit attempts on their vintage linen mountain. 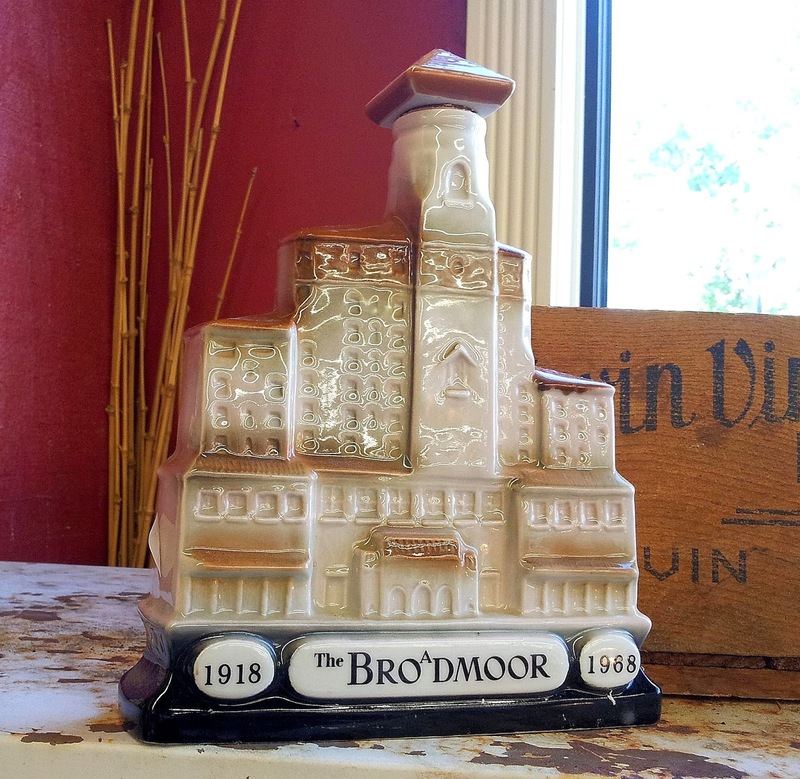 Once completed, this transaction resulted in a drop-off trip to the car because it’s physically impossible to navigate the aisles of Farm Chicks while carrying a garbage bag stuffed with vintage tablecloths, barkcloth and doilies. Trust me on this. (I secretly suspect those shoppers pushing baby strollers through the Farm Chicks venue don’t have human babies tucked away in there. I now believe their strollers were filled with toddler-shaped gobs of vintage tablecloths in an effort to avoid multiple trips out to their cars. Smart. Occasionally I would cross paths with my friend Ethel and her rock star, vintage-toting mom, signaling acknowledgement with just a friendly wave and a nod because Ethel was in her ZONE, a ZONE which prefers to skip over non-essential chitchat while there is still vintage goodness to be discovered. That’s why dinnertime was invented. For the chitchat. 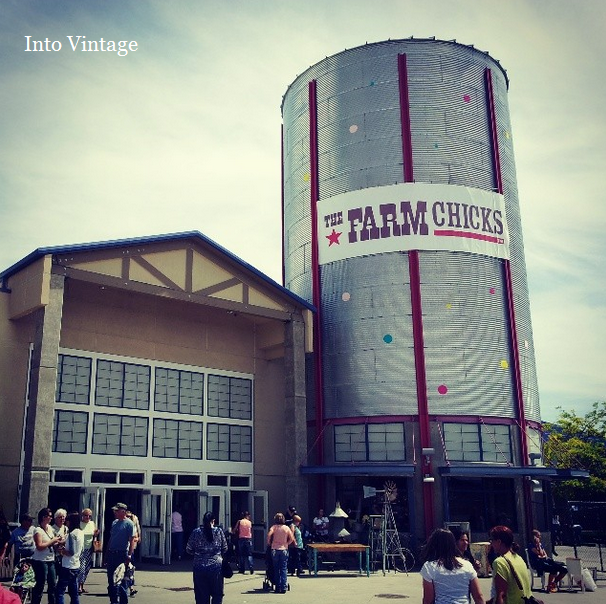 The second day of Farm Chicks was very similar to the first day for me. 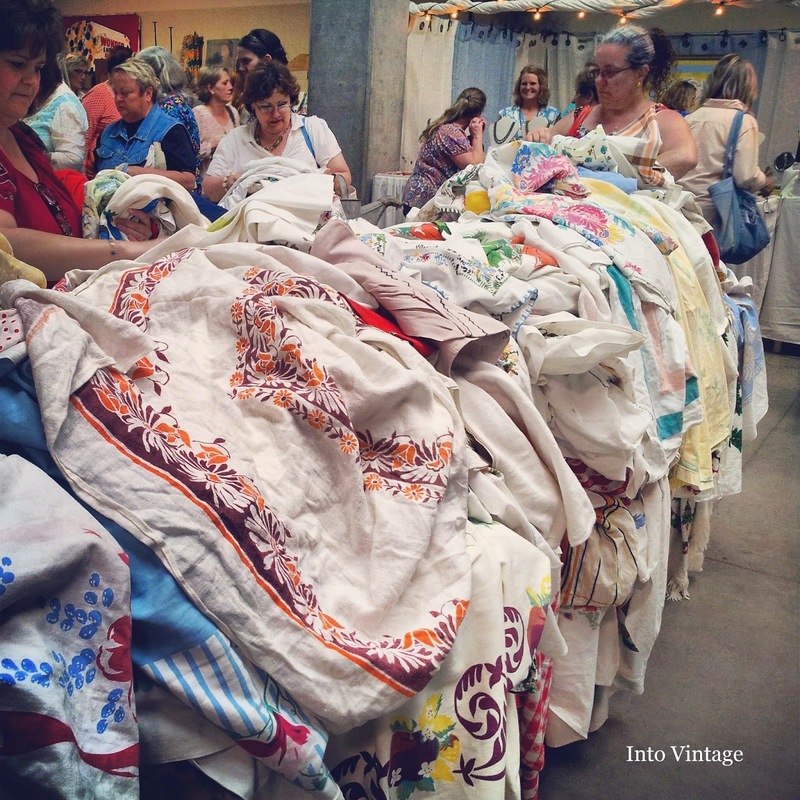 I spent some time with the Vintage Linen People (they had replenished AND FOLDED (!) 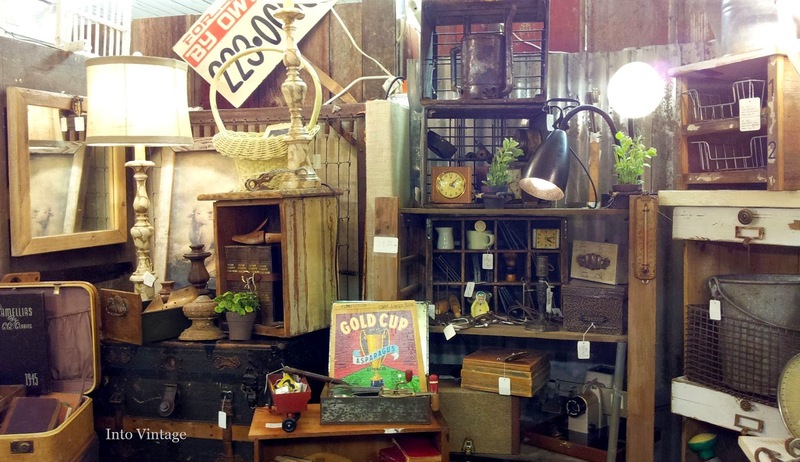 their inventory) and then I moved on to some general junk browsing since the crowds were lighter this morning (that changes quickly as the morning goes on). 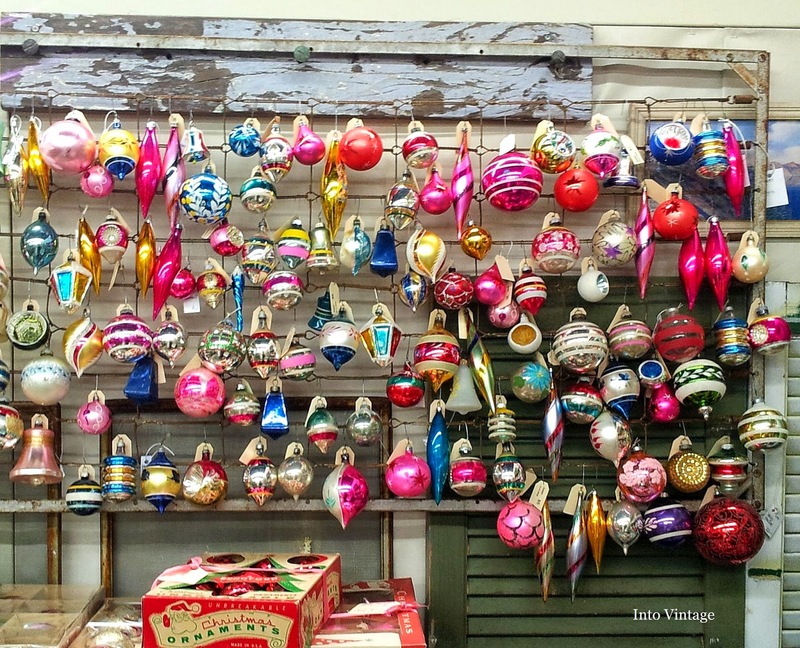 This day I was actually able to see more of what was for sale rather than who was in front of, behind and all around me, buying it before I could reach it. 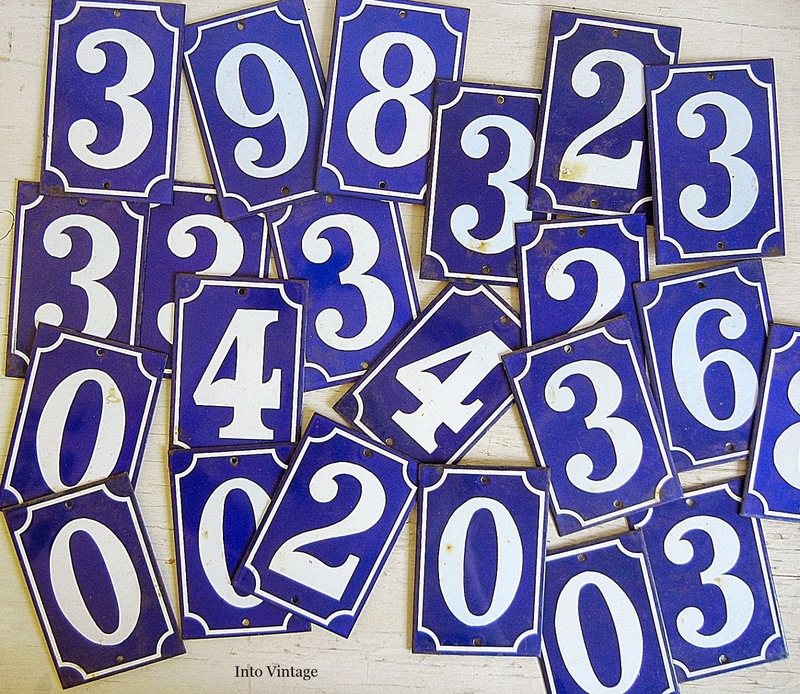 I exercised great restraint and these signs were my only other purchases and I plan to resell them. As if I need one more thing. 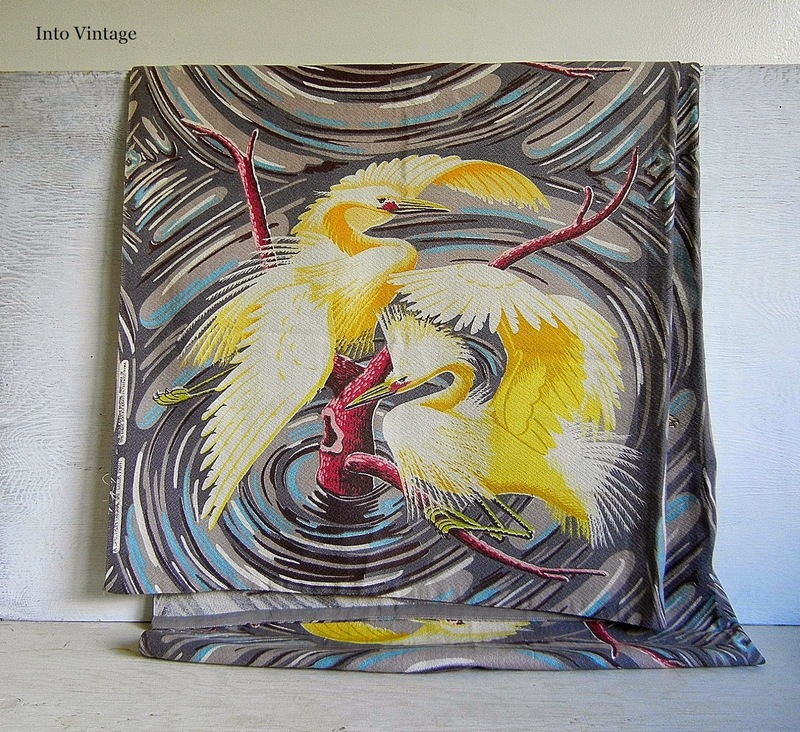 Or one more vintage tablecloth. 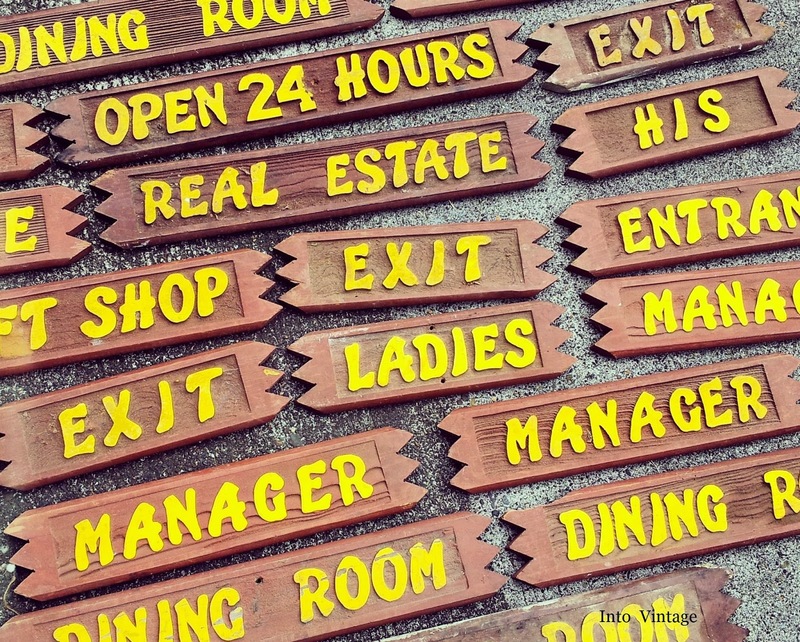 The drive home included one small unscheduled detour because someone was talking while her smartphone GPS was waving its arms in the air, pointing and shouting to let us know TAKE THIS EXIT. NOW. 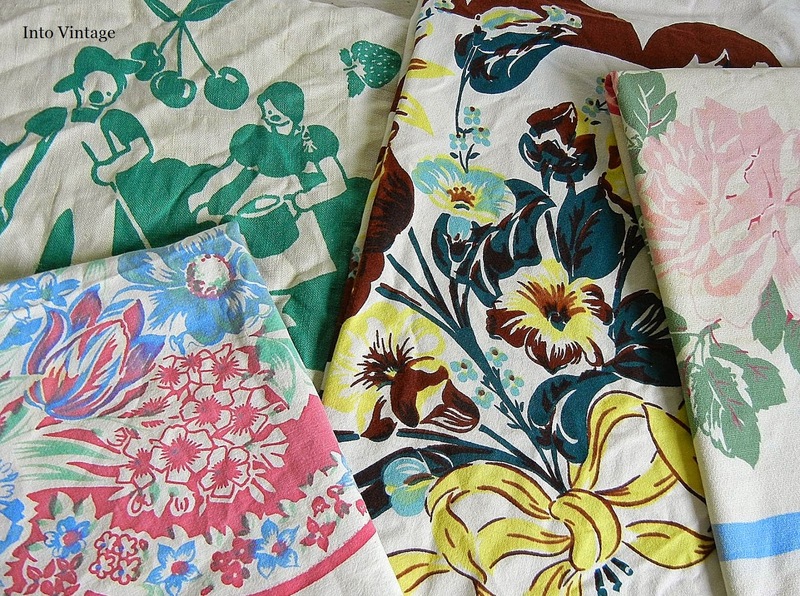 I made it home eventually, happy with my very own mini mountain of vintage linens. 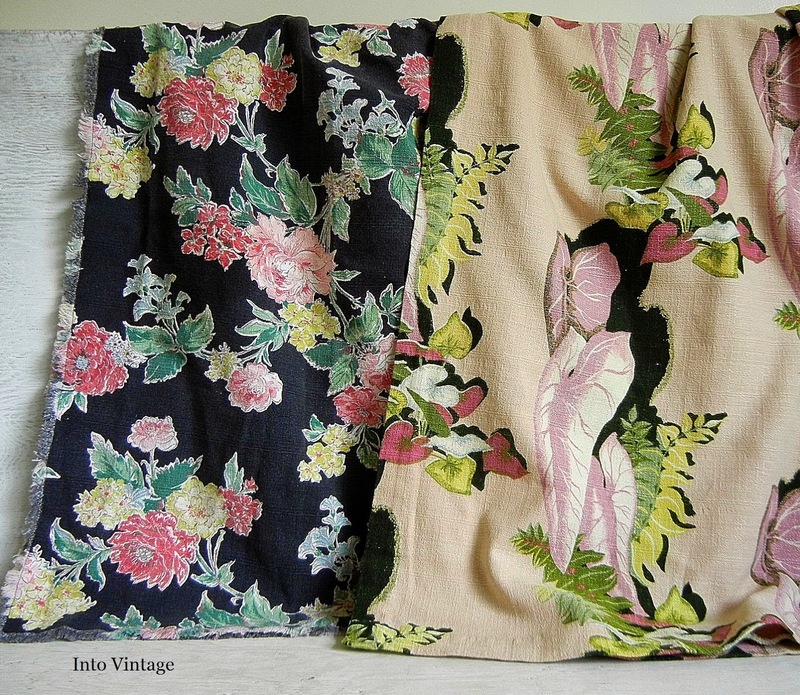 **Vintage Linen People, if you have a formal business name, I apologize for not knowing what it is and for bestowing you with such a McBasic (yet apt) descriptor. Maybe hang a sign or something? Or not. Whatever. I love you. ***One of these days I’ll write a post about THE SECRET TEST**** Ethel gave me the first time I ever went junking with her.